Whether you work from home full-time or just need a place to check your emails once in a while, having a desk in your home is almost a necessity these days. But what do you do when your tiny home has no extra space for a piece of furniture that's only almost necessary? 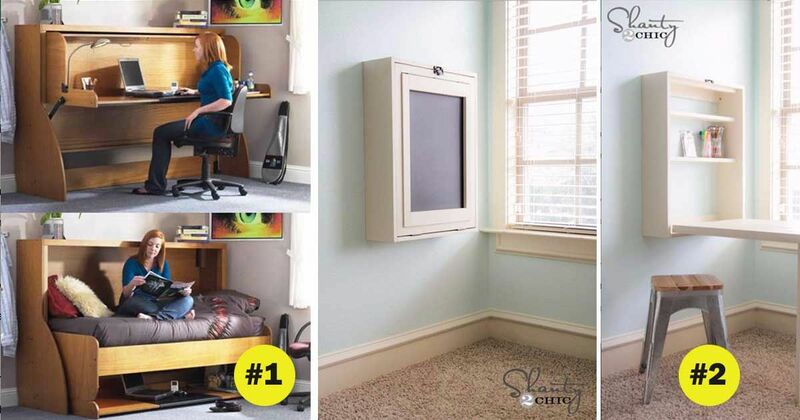 You invest in a space saving solution, of course! 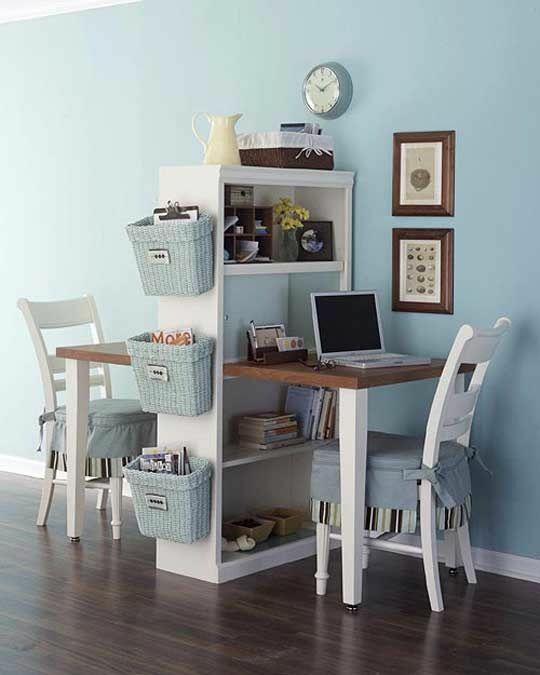 There are a ton of desks out there that don't take up too much space and can sometimes do double-duty as something else you need in your home. Here are eight of the best. 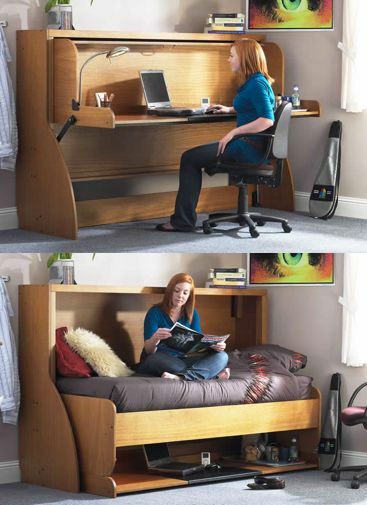 This fun spin on the murphy bed is the perfect desk for small spaces. Designed by Shanty 2 Chic, it gives you a handy place to store all your paper and pen essentials, and doubles as a cute chalkboard! 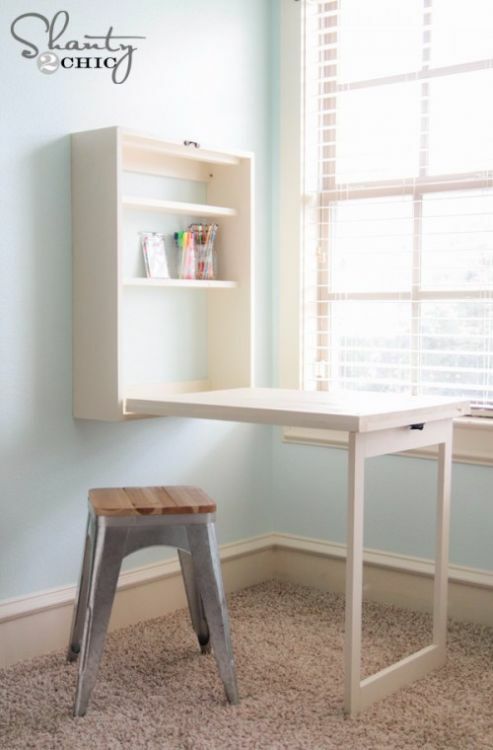 Seen on Apartment Therapy, this clever desk/bookshelf combo is a great way to have two dedicated workspaces that don't take up too much room. Plus, the bookshelf and the hanging baskets give you a ton of much-needed storage space-- what's not to love? 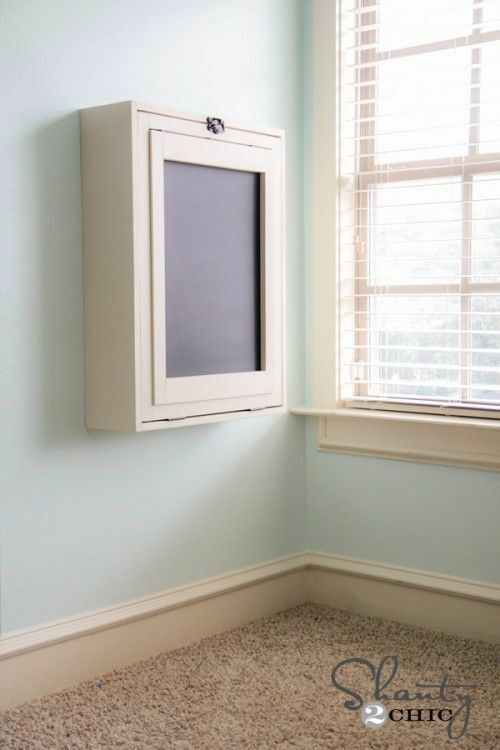 If you have a long narrow space, this project from Ana White might be perfect for you. Having two desks side by side gives you tons of space to work, and the setup keeps you from needing a designated dining room table! Although it was designed with dorm rooms in mind, the Study Bed is a great way to create a home office that doubles as a spare bedroom. The best part of the design? The surface of the desk isn't disrupted at all during the transformation, so you don't have to be constantly arranging your stuff. 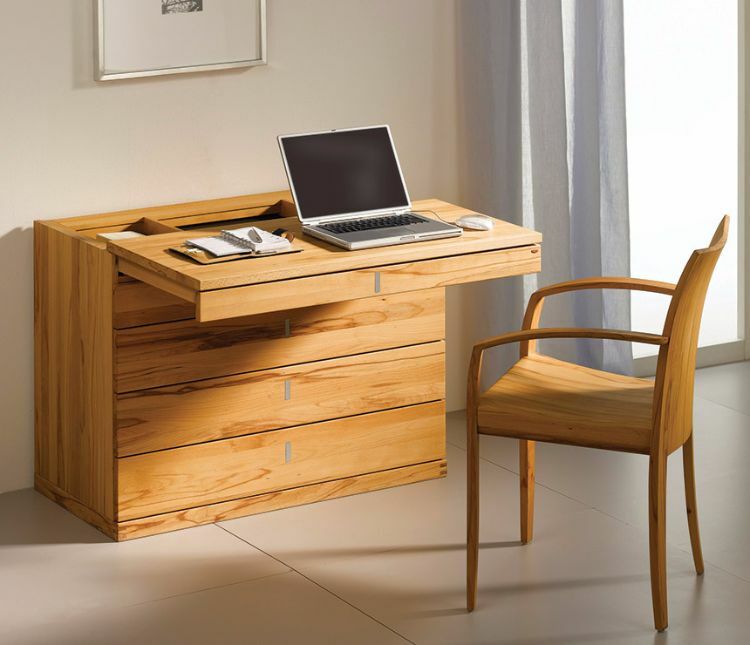 This handy desk from Wharfside is a great option for your bedroom. When closed, it just looks like a dresser, but the cabinet top pulls forward to reveal a surprisingly useful desk. 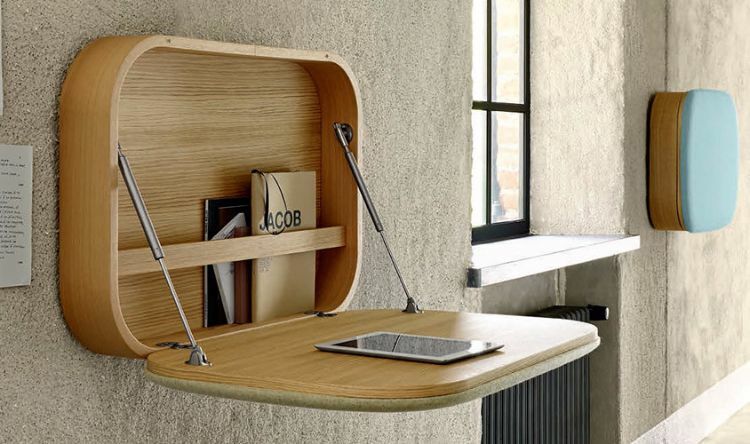 Perfect for a small space, this clever desk only sticks out 2 1/2" from the wall when it's not in use. 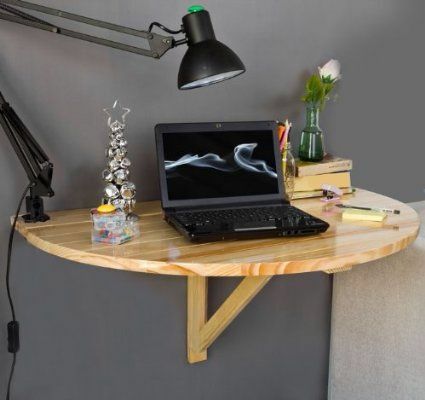 Mount a lamp on it, and you have a great workspace ready to go whenever you need it! You can purchase it from Amazon here. 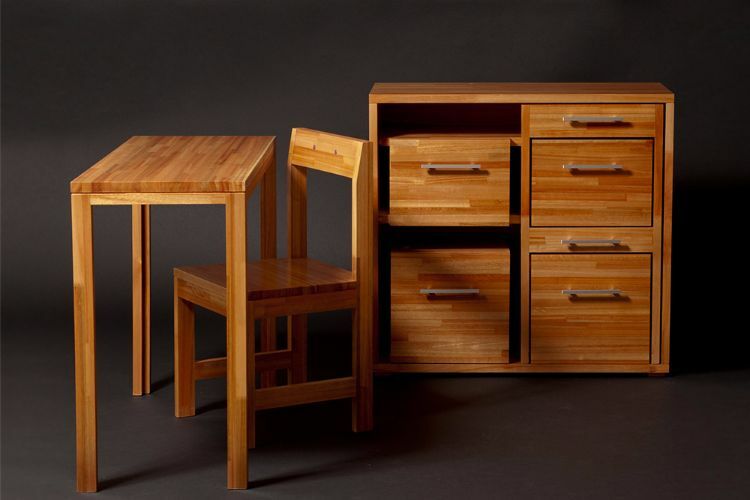 This concept by designer Claudio Sibille is as clever as it is simple: the desk rests on top of the dresser when not in use, and the chair can be tucked away inside the dresser where it resembles extra drawers. It almost seems like magic when you pull your desk out of nowhere! This functional workspace designed by GamFratesi folds up into a tiny box when it's not needed, and gives you just enough space to store whatever you're working on at the moment. It's sleek, stylish, and keeps clutter to a minimum. Whether you live in a tiny, a small or a regular-size home, saving space is super important to keep a tidy and well organized abode. Floor space is a hot commodity in tiny houses, and nesting furniture is one of the original solutions to that problem. 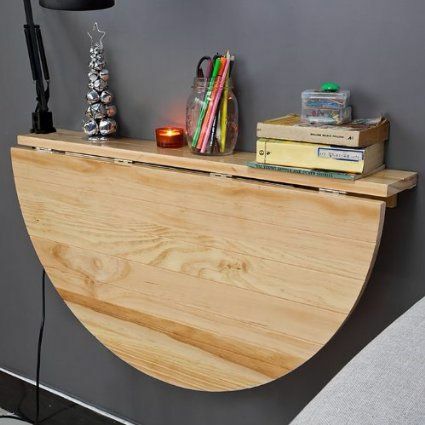 These awesome nesting designs can be all the furniture you need, and they'll take up way less than their fair share of floor space! In Tiny Home Tours we know that the smart use of space is one of the most important things for people interested in downsizing to a tiny living. For some people, living in a tiny home means giving up on having friends and family over to visit. However, this doesn't have to be the case! If you plan it out well, it's perfectly possible to have plenty of space for entertaining in your tiny home.